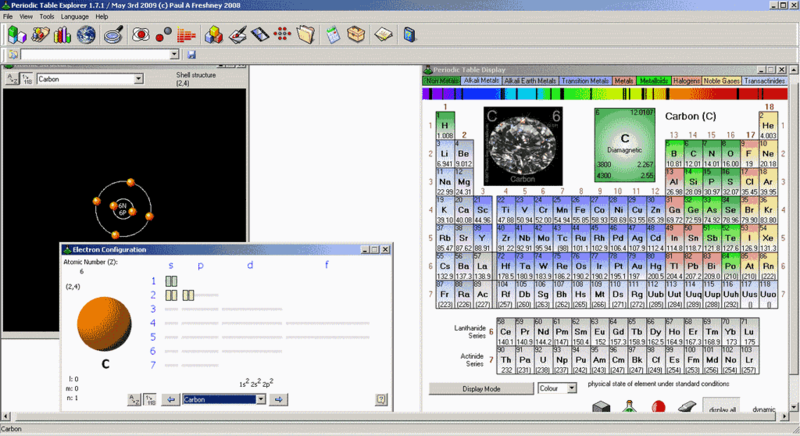 Periodic Table Explorer contains all the elements of the Periodic Table along with images of the elements in their natural state, as well as lots of other information and interactive displays. How to extract: Download the ZIP package and extract to a folder of your choice. Launch pt_explorer.exe. Bluestocking: as a volunteer, Emka is not getting paid for his work here and we appreciate his efforts. Website is back and DL link is working again. By the way, Mr. Freshney changed his mind. The announcement of the link posted four comments above was modified. Now he says that he will continue whith the development of his software. 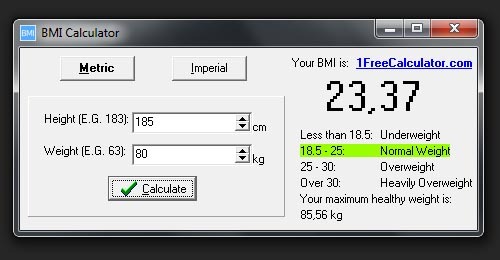 Free BMI calculator calculates the body mass index that is used to determine overweight and associated risk of obesity related diseases. How to extract: Download the EXE to a folder of your choice. Launch bmi_calculator.exe. Except BMI is an absolute crock of the proverbial. It's is extremely outdated and it's results are pretty meaningless. Even medical professionals take the results with a pinch of salt. Baas: Thanks. One of my plugins was interfering with archive.org. 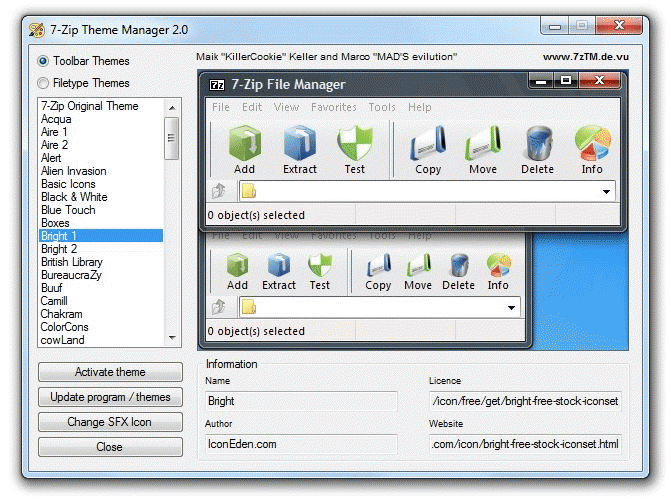 7-Zip Theme Manager allows you to change the toolbar and file-type icons of the archive manager 7-Zip. Includes 90 toolbar and 22 file-type themes. Instructions are available to modify 7-zip Portable (thanks SYSTEM). Note: A v2.1.1 is available for use with 7-Zip v9.23 alpha. How to extract: Download the 7z package and extract to a folder of your choice. Launch 7zTM.exe. Fixed a bug related to SFX-icon patching. mcAutotrack is an automotive car care software which helps you to maintain fuel and maintenance information for your vehicle. This application is recommended for home users, as a Lite Edition of Mycar-Monitor. mcAutoTrack can be used for any motorized vehicle. e.g. cars, motorcycles, trucks or power machine. License: Freeware with nag dialogs. Free registration via email will remove nag dialogs. How to extract: Download the ZIP package and extract to a folder of your choice. Launch mcAutoTrack.exe. EuroCheck checks your fonts, printer, keyboard and operating system for euro symbol support. How to extract: Download the ZIP package and extract to a folder of your choice. Launch EuroCheck.exe.